The term “traumatic brain injury” (TBI) covers a wide range of issues. Treatment regimens vary depending on the type and severity of the damage. Treatment for moderate to severe TBIs can include surgeries, medications, speech therapy, physical therapy, and/or psychotherapy. Experts recommend seeing a doctor within one or two days after a head injury, even when the injury is mild. A professional can examine the individual for brain damage and create a treatment plan. People with mild TBIs (concussions) can often see a full recovery with rest. A person may need to temporarily refrain from both physical activities (such as exercise) and cognitive ones (such as schoolwork). Loved ones may need to monitor the individual for worsening symptoms. Emergency care is recommended for people with moderate to severe injuries. The sooner a person with a TBI seeks treatment, the better their prognosis is likely to be. Medical treatment typically cannot reverse brain damage that has already occurred. However, immediate treatment can prevent further brain damage due to inflammation or blood loss. Many people with TBIs go on to develop behavioral concerns. They may become prone to emotional outbursts. They could also struggle to read body language or take turns in conversation. These changes may interfere with their relationships and cause the person to become isolated. Adjusting to new roles and relationships. When possible, the person with the TBI should have input into the goals of treatment. Having agency can help the individual stay motivated and engaged. Positive reinforcement (rewards for desired behavior) are almost always more effective than punishments. Therapy can also help with psychiatric diagnoses. Most people with moderate to severe TBIs (over 75%) go on to develop a mental health condition. Depression and posttraumatic stress are especially common. Treating these concerns can drastically improve a person’s quality of life. It can also remove obstacles to behavioral changes, making therapy as a whole more effective. Brain injury can cause mild impairment or a complete inability to function independently. Cognitive impairments in memory, concentration, and filtering information are common. These impairments can interfere with a person’s ability to do household chores or engage in self-care. However, many people with TBIs can function with assistance. Simply because someone can’t do one activity doesn’t mean they must be completely dependent on others. Many people with TBIs can do work assignments or household chores if they have accommodations. Practicing skills can lead to increased independence. Allow more time to do activities. A TBI can make it harder to keep track of time or make quick decisions. As such, activities may take longer than they used to. Schedule extra time for each task so you don’t feel pressured. Break tasks into smaller steps. This can help you remember the steps and prevent you from being overwhelmed. Some people find it helpful to write the steps down beforehand. Keep a routine. If you have memory issues, it can help to schedule meals and hygiene activities so that you don’t forget them. A consistent routine can also reduce anxiety, since you know what to expect at any point in the day. Do a hobby. Hobbies can be a constructive way to relieve stress or depressive symptoms. They can also keep your mind active and help you maintain a social network. Keep a journal. Write down notes of what you did and how you felt each day. Doing so can help you see patterns in your symptoms and track your recovery progress. Journaling has also been known to improve self-esteem. Be patient with yourself. Rehabilitation is often a long and difficult process. There will be days when you make mistakes or have setbacks. If you begin to feel overwhelmed, take a break and go somewhere quiet to calm down. When someone experiences a TBI, their entire family can also be impacted. Relatives may struggle to adjust to the person’s behavioral changes. Depending on the individual’s old role, breadwinning or childcare responsibilities may be shifted to other family members. One or more family members may need to step into a caregiving role. Encourage independence. Someone with a TBI may have limited abilities, but often they will be able to do some things, such as feed a pet or make simple meals. Having your loved one do some tasks can help them feel productive and capable. Remember that positivity often gets better results than negativity. For example, say your loved one forgets to take out the trash one day. Rather than scolding them, you can thank them for their help when they do remember the chore. Limit “serious” discussions to a certain period each day. There is more to your relationship than caregiver and care recipient. It is important to spend quality time together without having the injury hanging over your head. Don’t try to do everything yourself. Ask friends and family to fill the caregiving responsibilities on occasion so you can take a break. If you do not rest, you will likely burn out and develop resentment. 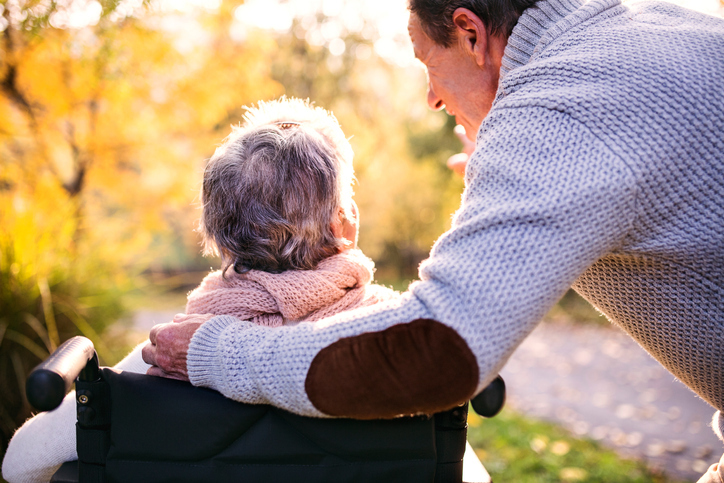 Make sure there is someone else who can care for your loved one if you ever become incapacitated. If a loved one’s TBI has caused you stress or grief, you may benefit from talking about those feelings in therapy. Couples counseling can also be helpful if the injury has created a rift in your marriage. Traumatic Brian Injury from vehicular accident: Albert, 31, is an experienced police officer who recently endured a tragic motor vehicle crash while on duty. He hit his head on the steering wheel during the crash and lost consciousness. Albert was airlifted after the accident to a hospital, where an MRI determined that Albert suffered a severe traumatic brain injury as part of the crash. Albert is then transferred to a rehabilitation facility for the traumatic brain injury, where physical therapists help him work on regaining speech capability and motor function. He also sees a psychologist, who is working to help him assess and regain some of his short-term memory functions. Albert will be on a structured treatment plan for a few months to assess his progress. Traumatic Brain Injury from explosive munitions: Jessica, 23, is a former U.S. soldier who was knocked unconscious in a roadside bomb attack during her tour. Months after her discharge, she begins experiencing headaches and fatigue. She finds it extremely difficult to get out of bed some days. Jessica feels depressed and hopeless as her headaches grow more severe. She makes an appointment with her VA mental health counselor. The counselor suspects her conditions are related the attack in Iraq and helps Jessica schedule an MRI. The counselor also helps Jessica manage her negative, hopeless thoughts. With time and emotional support, Jessica regains a bit of optimism for the future despite her pain.